Philippa has taught on Stringwise courses, leading a variety of strands, for more than 15 years. She is a violin and musicianship teacher of wide experience, having worked in a wide range of environments from initial experiences of whole class instrumental teaching on the Tower Hamlets String Project, to, currently, leading the First String Experience course at the Royal Academy of Music. She also has a strong background in teacher training, presently at the Royal Northern College of Music, where she is Head of Music Education, and also works as a freelance music education writer and consultant. Philippa Bunting is a widely experienced teacher of the violin and general musicianship, who has taught on Stringwise courses, leading a variety of strands, for more than 15 years. Currently Head of Music Education at the Royal Northern College of Music, she is also Director of the First String Experience course at the Royal Academy of Music. 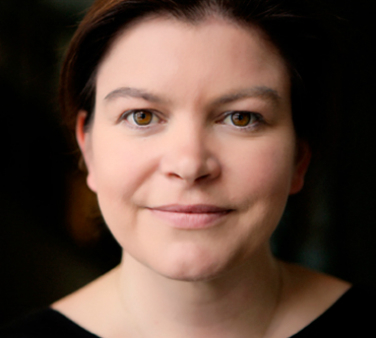 Philippa has taught at the Guildhall School of Music and Drama and Trinity Laban, as well as for a number of local authorities and in private practice. She has worked for three awarding bodies, Guildhall Exams, Trinity Guildhall and the Associated Board, in syllabus development and teacher training, including writing teaching qualifications. Philippa has worked with young string players in a range of environments including whole class instrumental teaching, advanced students within the junior departments of three conservatoires (including leading the String Training Programme at the GSMD and the Junior Strings Project at the Royal Northern College of Music in Manchester), designing and running holiday courses, teaching primary school class music, and coaching large and small ensembles. Her particular interest is in exploring ways to integrate musicianship into the instrumental lesson, encouraging a holistic approach which includes movement and aural work. Philippa has an MA in Music Education, is a Fellow of the Higher Education Academy. In 2005 she was awarded a Winston Churchill Fellowship to study the relationship between musicianship and string training in Hungary, Finland and Eastern Europe, and in 2015 received an Honorary ARAM from the Royal Academy of Music. © Copyright Stringwise 2019. All Rights Reserved.